The second installment in the Elemental series, a new futuristic fantasy for young adults and new adults, ELEMENTAL HUNGER is a full-length novel. Look for the third and final installment, ELEMENTAL RELEASE, an Elemental novella, coming on July 2, 2014. Elana Johnson is the author of the Possession series, which includes full-length novels POSSESSION, SURRENDER, and ABANDON, and short stories REGRET (ebook only) and RESIST (free). She is also the author of ELEVATED, a young adult contemporary romance novel-in-verse. Her novella, ELEMENTAL RUSH, began a new futuristic fantasy series. ELEMENTAL HUNGER, a full-length novel, is the second part of the story. The series will conclude with ELEMENTAL RELEASE, the final novella, which will release on July 2, 2014. Elana wishes she could experience her first kiss again, tell the mean girl where to shove it, and have cool superpowers like reading minds and controlling fire. To fulfill her desires, she writes young adult novels. 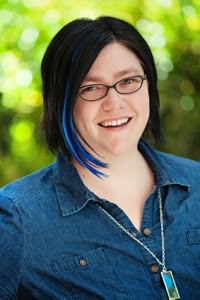 She runs a personal blog on publishing and is a founding author of the QueryTracker blog, a regular contributor to The League of Extraordinary Writers, and a co-organizer of WriteOnCon.